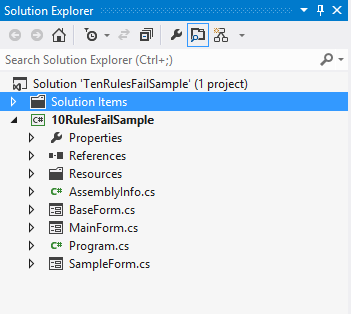 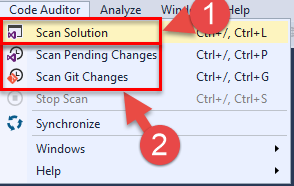 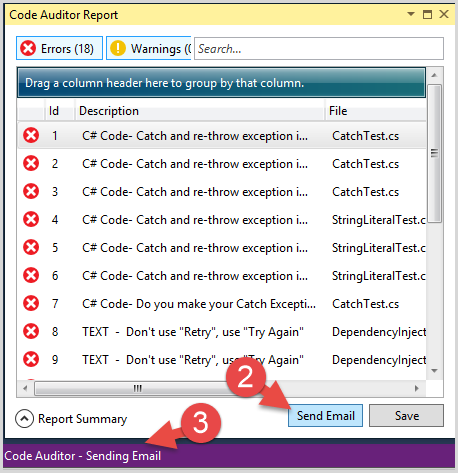 After installing the Code Auditor via Extensions and Updates, or (website link) and restarting a new menu will appear in Visual Studio. 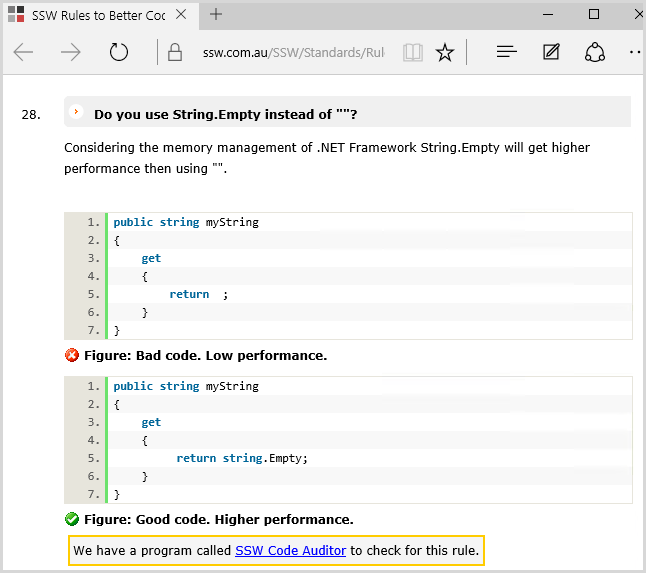 Right click error and select "Open Rule in Browser" to go to the associated SSW Rule webpage. 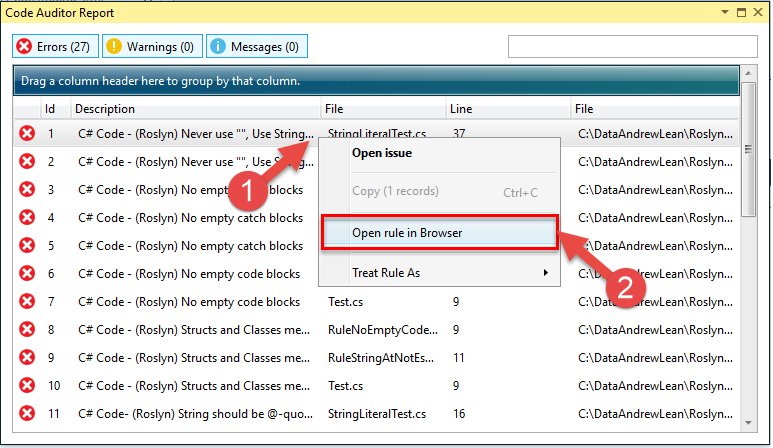 You might find an instance where your code must break a rule for a valid reason. 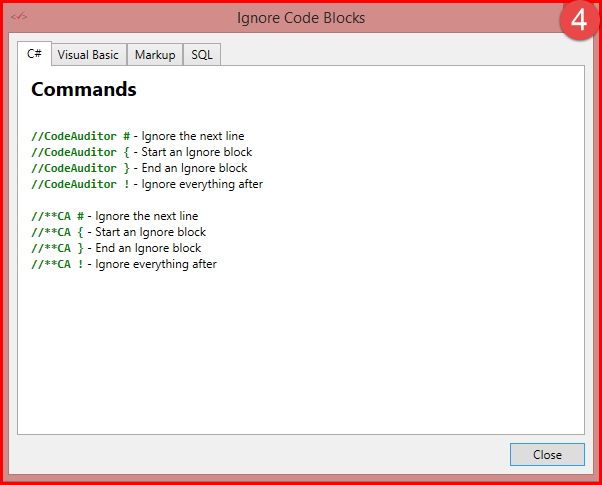 To improve the project, comment the reasoning behind this, and skip over the few lines of code. 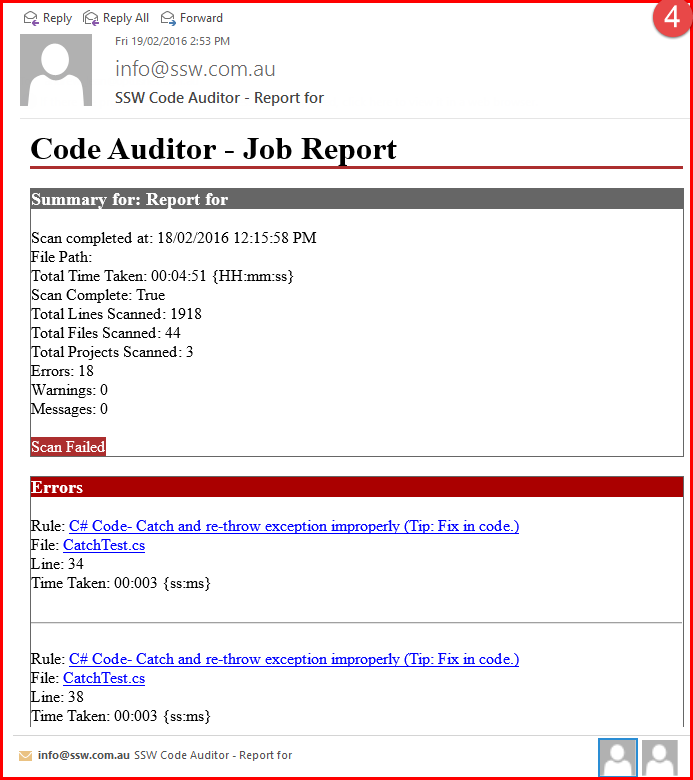 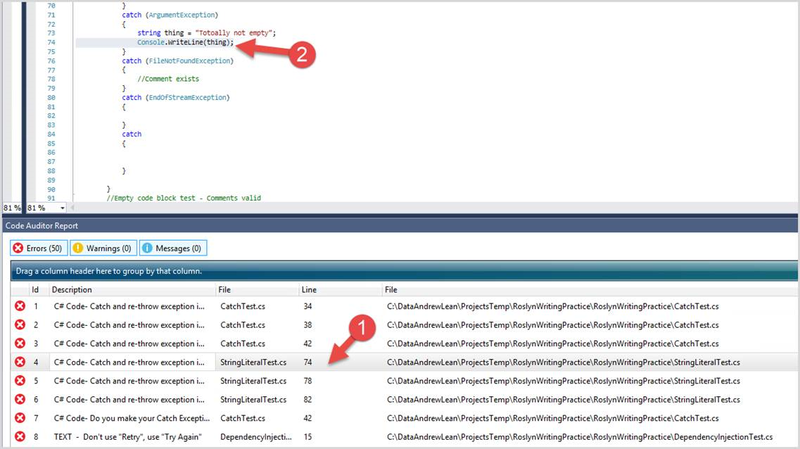 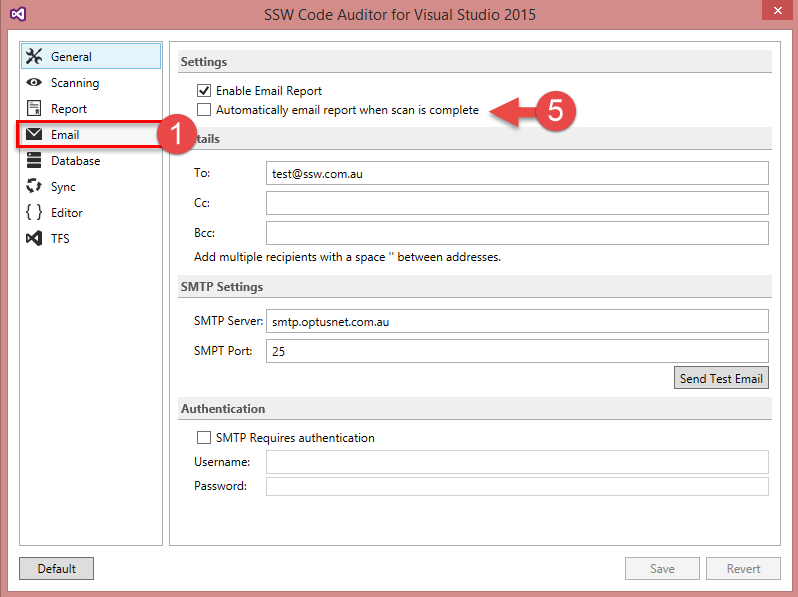 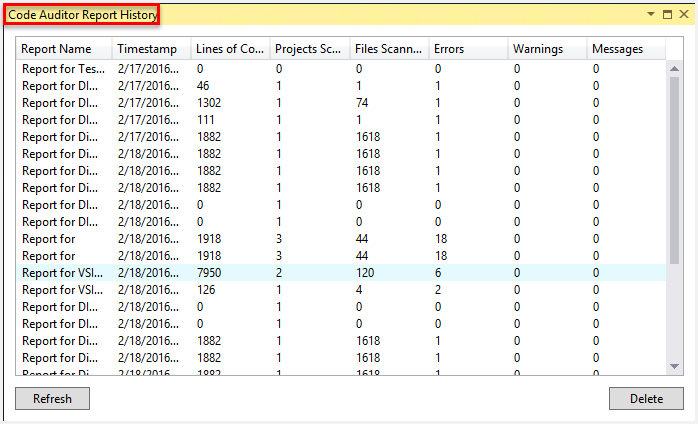 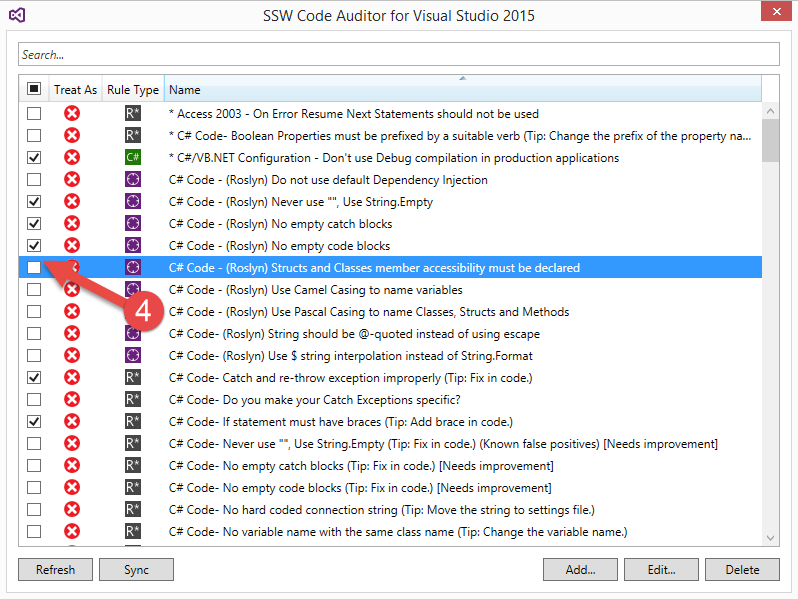 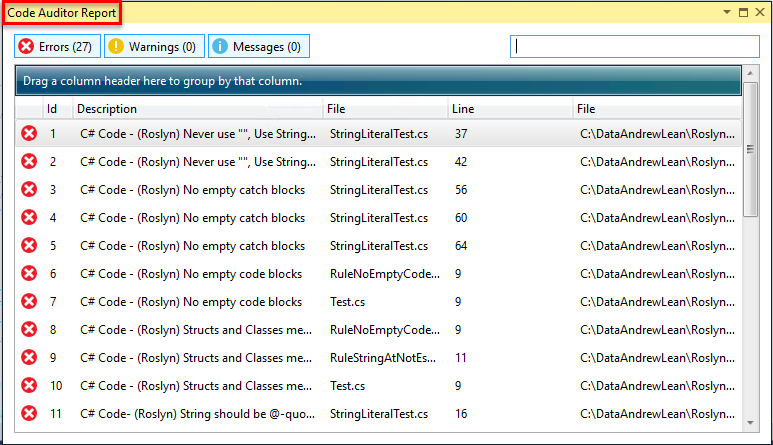 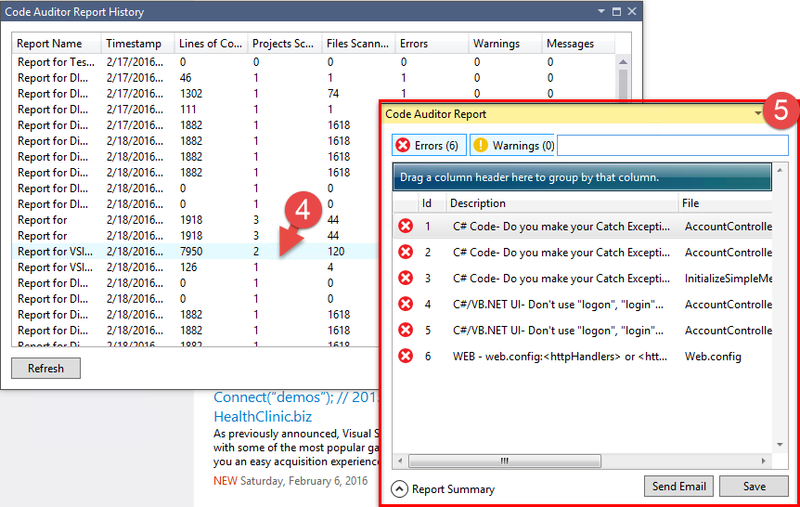 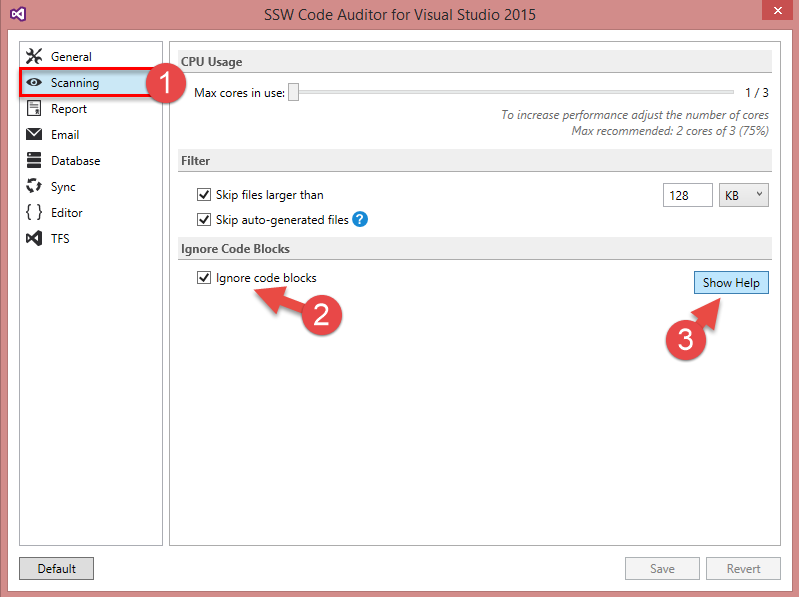 Ensure checkbox "Ignore code blocks"
TFS Check-in policy allows TFS to run code Auditor whenever code is checked in. 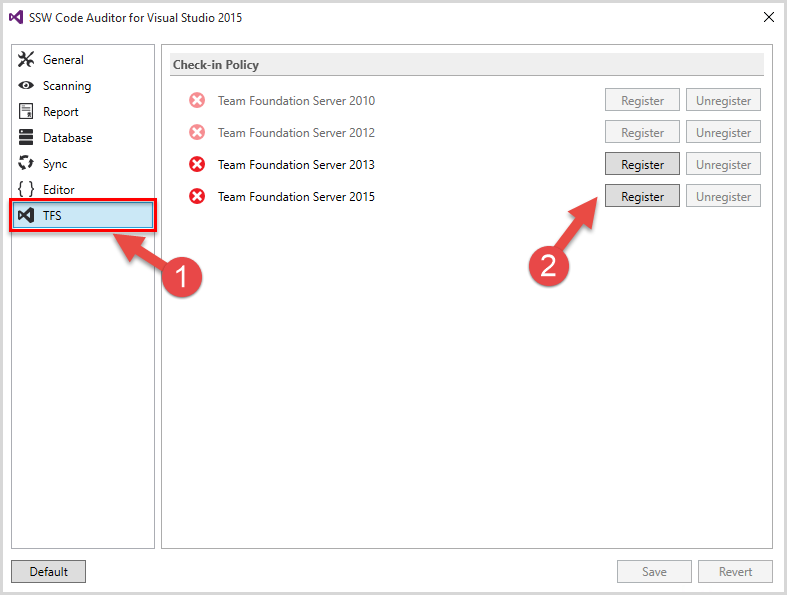 Select "Windows | Options | TFS" and then register the TFS version.